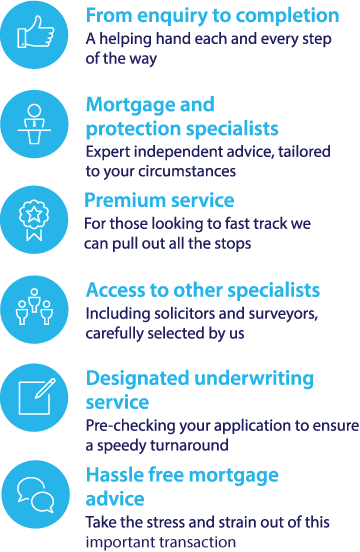 To investigate your mortgage options if you work as a contractor call our mortgage team on 0117 313 7780 or fill in our call back form. If you work on a contract basis you could find getting a mortgage more difficult than people in standard employment as you can’t offer the lender the reassurance of a guaranteed salary. However, there are ways for contractors to prove that they can afford to make mortgage repayments without needing the backing of a permanent employer. Mortgage lenders can sometimes be a little more reluctant to offer mortgages to contractors and freelancers, as they don’t have the security of a guaranteed salary provided by an employer. However, there are ways for those who work as contractors to prove that they can afford to make mortgage repayments without needing the backing of a permanent employer. In the past, many contractors have relied on self-certified mortgages, which can be expensive. However, there are lenders who will offer mortgages to contractors that have rates similar to those offered to traditional employees. Can I still get a self-cert mortgage as a contractor? Before the 2007 banking crisis, many contractors and other people with irregular incomes relied on self-certified mortgage. Self certification mortgages did not require proof of income, which meant that self-employed people were able to borrow large amounts without having to provide proof of earnings. This type of mortgage was banned several years ago by the Financial Conduct Authority (FCA) as it was seen as encouraging irresponsible lending. Therefore, if you are a contractor looking to get a mortgage for the first time, or looking to remortgage from a self-cert deal, you will need to choose a different mortgage type. How are mortgages for contractors assessed? A standard mortgage application will be assessed, among other things, on the basis of your salary. This means that in the absence of self-cert mortgages, contractors can face difficulty securing a competitive mortgage rate as they cannot always provide lenders with the security of a regular income. However, mortgage applications for self employed people are assessed differently from traditional mortgage applications. Several mainstream mortgage providers will underwrite mortgages on a case-by-case basis, using the evidence you provide in the form of your accounts and business records to help them decide whether to offer you a mortgage. Make sure you have a recent copy of your contract – you will need an up-to-date copy of your most recent contract, indicating your payment rate for the work as well as its duration. This gives lenders a clearer picture of your income. Get your accounts in order - Lenders will want to see around two years’ worth of accounts plus your most recent SA302 form. This is the tax calculation form that HMRC sends out annually and will show the lender how much tax you owe in a given tax year. Save for a high deposit – the higher the deposit you can put into a property, the less risk the lender is taking on. This can mean lower interest rates– even if you work on a contract basis. Make sure your credit history is clean – this is important for all mortgage borrowers, but it’s especially important for people seeking a contractor mortgage as it reassures the lender that you have a good history of making repayments. To find the best contractor mortgage quotes call our mortgage team on 0117 313 7780 or complete our callback request form.